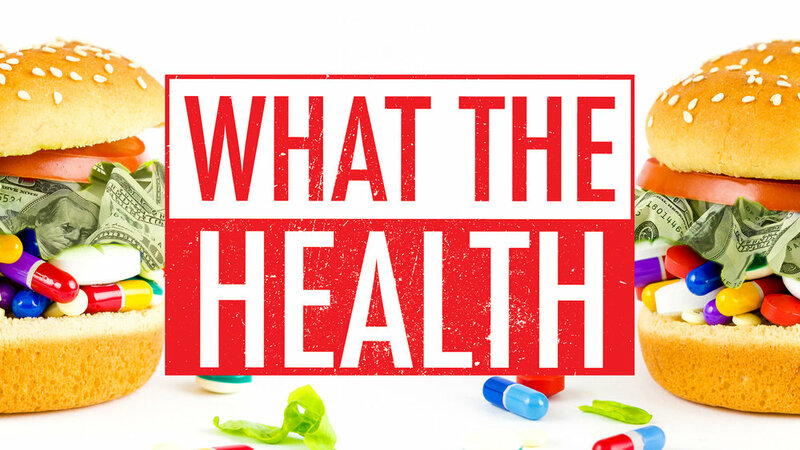 We watched the Netflix documentary "What the Health" last week. I had heard a few people talking about and how amazing and shocking it was. I love documentaries about food and the food industry (like "Fed Up") so of course I was interested. People have said that there is no way you could watch this doc and not immediately become a vegan. To say the least, I did not have that same reaction. First of all I thought it wasn't very well made - it was full of big reveals, shocking statistics, and gotcha moments, but it all felt false and fell flat in my opinion. I've read a few articles since that say the stats they provide are not based on reputable studies, and I'm not surprised. The claims they make about eggs (like eating one is the equivalent to smoking five cigarettes when it comes to cancer), and fish (that every kind of fish contains so many toxins it shouldn't be legal sell it), and milk (when you breastfeed your baby you're basically poisoning them with the toxins and hormones found in cow's milk) are outlandish. You think I'm exaggerating with the statements in brackets, but that's the tone of the documentary, and I was annoyed with it pretty early on. I wanted to turn it off but I did derive some pleasure from scoffing at their tactics. There are many good reasons to be a vegan, but you need to go beyond this doc. It is unfortunate that their scare mongering distracts the viewer from some good information buried in there. It is very interesting that the milk, beef, pork, and chicken industries are direct sponsors of various health organizations/societies (like the American Cancer Society, etc.) and if you're trying to reduce something like heart disease then maybe you shouldn't be including recipes with bacon in them. But it didn't surprise me and the phone calls and interviews that the documentary maker had with those people where he tried to "catch" them in a lie, seemed a bit over the top. I think everyone should take everything they read and watch with a grain of salt (no, not salt, what about the cholesterol!) and realize that everyone has an agenda and they will present the details that work to promote that agenda - that goes for big pharma, the pork industry, vegans, environmentalists, everyone. Dave just read something yesterday about the revision of Canada's Food Guide; Health Canada has said that no food industry will be allowed to meet privately with the Health Canada representatives. They can make submissions, like any member of the public, but they won't be given special treatment. That all being said we do want to eat more meatless meals, and we want to avoid processed foods as much as we can (even though sometimes it can't be helped). I know that things like added salt, added sugar, added fat, and the lack of natural fibre does cause problems so the closer a food is to its natural state, the better for us. I don't plan on cutting meat out of my diet but we have tried to eat more plant based protein, like lentils and quinoa. The nice thing about quinoa is that you can add whatever complimentary flavours you want and you have a quick easy meal. I've made this Thai Quinoa recipe a few times, and this is a fun one with California flavours (bonus points for the edamame). Everything in moderation my friends. Hey Sarah! I heard similar things about this documentary and I can't bring myself to watch it, sounds pretty overblown. I'm reading a ton about nutrition and past national (US and Canada) dietary advice and I think a lot of it was based on bad science, particularly the demonization of saturated fat! There really just isn't a lot of evidence that we SHOULD avoid meat/eggs/cheese/butter etc. 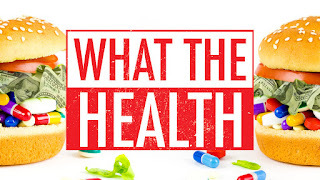 It's quite academic, but there is a great book on the topic called the Big Fat Surprise that combs through decades of evidence and 'where it all went wrong'. Might be interesting to read... I've stopped feeling guilt about bacon, steak and cheese, and have drastically cut my vegetable oil intake as it seems to be pretty bad news (we basically invented a new food product and said that all humans should mostly ingest that - vegetable oil - over animal sources of fat. Kinda crazy when you look at it like that). Fascinating topic! Thanks for the book recommendation. I will check that out. Always trying to make smart choices without giving in to fear mongering.